KEN YUSZKUS/Staff photo. 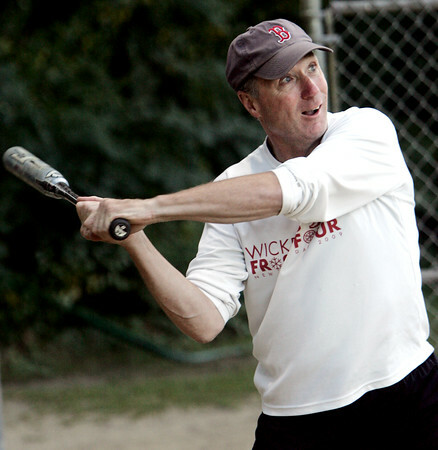 Representative Paul Tucker takes aim to hit the ball in the first inning. Peabody and Salem city officials played the second annual softball game, this game benefited Haven From Hunger. 9/4/15.